And of course, #sophiemosgiveaways won’t be complete without one of the closest brands to my heart, FILED! I seriously can’t go a day without my FILED essentials. Being the OC person that I am, I have a need to keep things organized and that’s why FILED is my number one best friend in my messy & stressful life, lol. I am constantly so amazed how this brand continues to grow and innovate and work with so many great and young talents! Also how every product is well-thought of and not only organizes things but one’s life (for me, at least!)! For today, I’ll be giving one of their many unique products, Shiftnotes! What makes it different from an ordinary notebook? A disc-bound notebook that gives you complete freedom and creativity in note-taking. 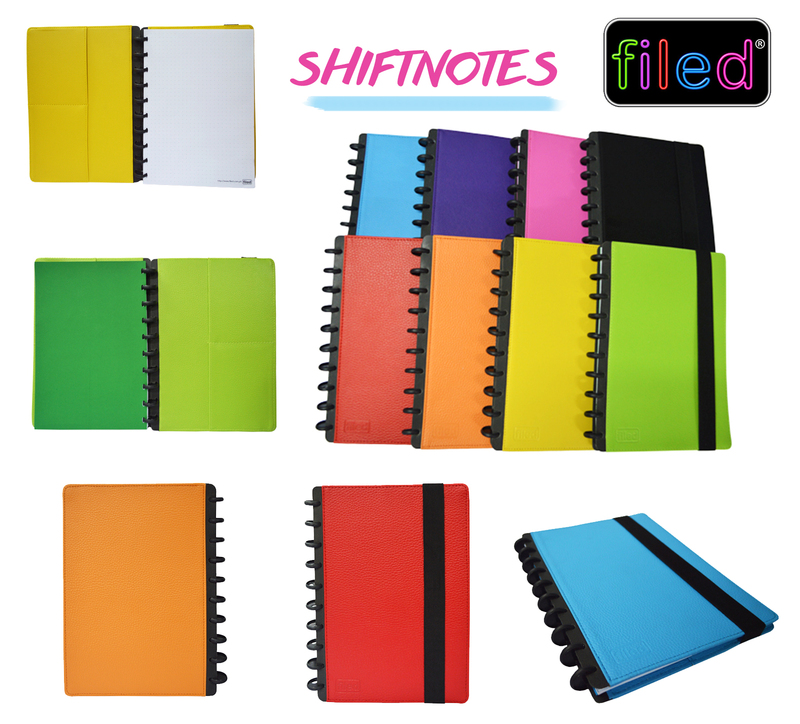 The disc binding system of the Shiftnotes enables you to add and remove sheets easily. It comes with 3 types of papers, kept secure with a garter strap. 2. Follow FILED on Facebook and Instagram. 3. Tweet the ff: "Need to organize your life? Visit www.sophiemos.com to win a @GetFiled stylish organizer! #sophiemosgiveaways" No need to tag me! Deadline of entries is on November 3, Monday, 11:59PM. Open only to Philippine residents only. All entries will be checked. Failure to comply with one step will invalidate entry! Winners will be chosen via random.org and will be announced on my blog and Twitter.